While the Beats by Dr. Dre is the best-known product from Monster's (formerly Monster Cable) headphone line, the lesser-known Turbine Pro Copper In-Ear Speakers provide more articulate and better-balanced sound. 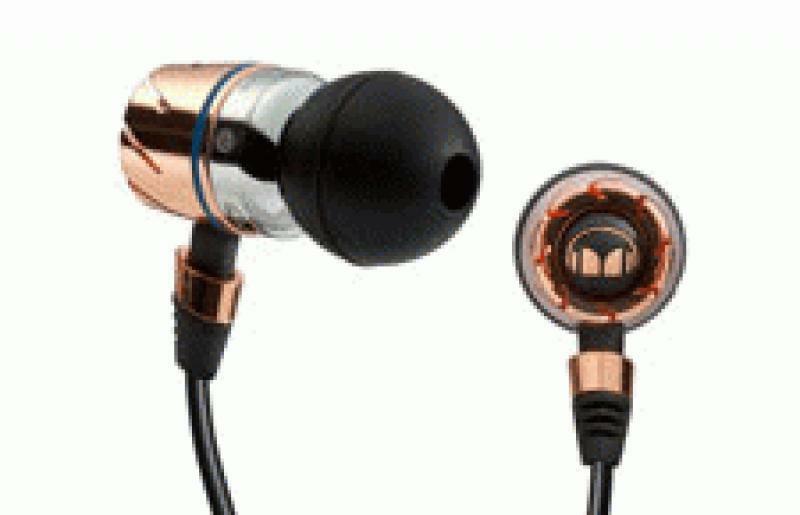 The Turbine Pro Copper In-Ear Speakers are among the most substantial in-ear speakers I have auditioned. The housings are all metal, with the back half sculpted to resemble Monster's iconic Turbine RCA plugs. The cables are heavy and rubber-coated and the plug is gold-plated. Monster is so confident of the build quality that they offer a lifetime guaranty against defect and a one-time free replacement, even if you break them through rough handling. The exact specifications are not provided, but they are said to include Magnetic FluxTube cabling and advanced driver design for professional, studio-grade performance. The Turbine Pro Copper In-Ear Speakers are priced at $399 per pair for the standard model and $429 with Control Talk to allow use with your smartphone. With in-ear speakers, the fit within your ear is both highly personal and critical to achieving maximum noise isolation and low-frequency extension. To ensure a proper fit, the Turbine Pro Coppers come with an expanded selection of Pro Sound Isolating Eartips. To further help keep the Turbine Pro Copper In-Ear Speakers in place, they come with ear hooks, which are said to be easily installed and removed and help to keep the speakers in place even during strenuous physical activity. My review sample did not come in retail packaging and did not have the ear hooks included, so I cannot comment on them, the cable clip or the two different pouches that come with the Turbine Pro Copper In-Ear Speakers. That said, I have used similar ear hooks before and they helped keep things in place during exercise, as did cable clips. • The Turbine Pro's build quality is very good, with well-finished metal housings, complete with heavy-duty strain relief and a heavier gauge cable. • The wide assortment of ear tips should allow most people to find a size that fits them properly. • The Turbine Pro Copper In-Ear Speakers are well-balanced sonically and provide exceptional sound quality for an in-ear design. Personally, I consider them to be superior to the lauded Beats by Dre line of headphones you see so frequently nowadays. • The Turbine Pro's right angle connector may interfere with some portable music devices or cell phone cases. • While the strain reliefs at the earpieces and the upper side of the "Y" connector are substantial, the strain reliefs on the lower side of the "Y" and at the connector are not. To say that there is more than a wide variety of headphones, both over the ear and in-ear, is an understatement. Mainstream and even not-so-mainstream traditional speaker manufacturers are getting into the game, for it is among the few steadily increasing markets in specialty AV, as seemingly everyone has a need. Because of this, Monster's Turbine Pro headphones compete with just about every in-ear headphone on the market today - including ones costing less, as well as those that cost more. Some notable options are Bowers & Wilkins' C5 headphones, Ultimate Ears' line of in-ear products and even Sony's MDR-EX 1000s. Of course, these three competitors are but a small sampling of what is currently available. For more on these headphones and others like them, please visit Home Theater Review's Headphone page. The Turbine Pro Copper In-Ear Speakers are among the best-sounding in-ear monitors I have listened to so far. They are well-balanced, with a gentle roll-off at each end of the audio spectrum. The crucial midrange is slightly forward and to the warm side of neutral. The Turbine Pro Copper In-Ear Speakers have some slam in the bass region, but favor detail and texture over brute force. Acoustic bass was full of texture and had good decay and synthesized bass had the snap of a quick attack. Missing was the artificial bass emphasis or bloat that can be found on many of the headphones geared towards the hip hop and R&B markets. The overall presentation is well-balanced and intimate. With both extremes of the spectrum being slightly rolled off, the Turbine Pro Copper In-Ear Speakers may not appeal to the boom and sizzle crowd, but the targeted demographic for this product is the discerning listener, for whom it is well-suited.